Arnaldur Indridason is known for his outstanding series starring Inspector Erlendur, set in Iceland. “The Shadow District” is the start of a new series. A 90-year-old man, Stefán Thórdarson, has been smothered in his bed. Newspaper clippings of a 1944 crime are found in his apartment. The crime involves the murder of a young woman whose body was left behind the National Theatre in Reykjavik. 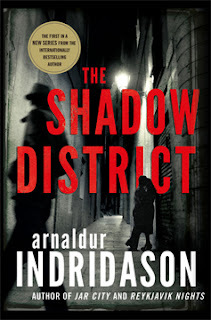 In alternating storylines, Indridason tells the current story from the viewpoint of Konrád, a retired CID detective who has been asked by an old colleague to followup on Stefán’s murder. In the 1944 story, the crime is investigated by CID detective Flóvent and Thorson, a Canadian working with the American military police. Why is Thorson involved? The Americans had a large presence in Iceland, used as a staging and disbursement point during World War II. Initially, it was not inconceivable that the woman’s death might have an American element to it, especially after it was determined that she had had a recent abortion. Flóvent determines the young man who first discovered the body, and then ran, was a G.I. He had been making out with his Icelandic girlfriend when they stumbled across the body. (“The Situation” is how Icelanders referred to the mounting problems of American G.I.s’ sometimes predatory involvement with Icelandic girls and women.) Thorson is able to be an effective partner because his parents were immigrants to Manitoba from Iceland, and he fits right into the investigation. The partners share similar dogged attributes and attention to detail. Flóvent and Thorson do the time-consuming work of tracking down the G.I. and his girlfriend. Once the identity of the victim is discovered, they do the work of tracking down her acquaintances and history. Later, they discover a bizarre connection to huldufólk, Icelandic elves, which leads them to a crime a few years past in another part of Iceland. Coincidence? As one of the characters says, there are no coincidences, so they begin tracking down details of that crime in which a young woman, who claimed to have been raped by huldufólk, disappeared. The current case revisits the old crimes, as Konrád tracks down the remaining witnesses or their descendants and tries to piece together the 1944 case, a task which proves daunting since the original file is missing from the police records. To his credit, Konrád is able to make progress. What I like about Indridason’s characters, stars and bit players alike, is they are very realistic. They have foibles and nuances. The main characters, Konrád, Thorson, and Flóvent have sound moral cores. You can envision real people reacting as Indridason’s characters do. That adds to the poignancy of the crimes and their effect on the survivors. I assume Konrád will be the star of the new series. He’s got the police techniques, the intelligence to be a good detective, and an interesting life story that includes a con man father who used to hold séances and abuse his wife. ILL WILL. By Dan Chaon. (Ballantine, $28.) Chaon’s dark, disturbing literary thriller encompasses drug addiction, accusations of satanic abuse and a self-deluding Midwestern psychologist. MANHATTAN BEACH. By Jennifer Egan. (Scribner, $28.) Egan’s engaging novel tells overlapping stories, but is most fundamentally about a young woman who works at the Brooklyn Naval Yard during World War II. THE REFUGEES. By Viet Thanh Nguyen. (Grove, $25.) This superb collection of stories concerns men and women displaced from wartime Saigon and (mostly) settled in California. A SEPARATION. By Katie Kitamura. (Riverhead, $25.) Deceptions pile on deceptions in this coolly unsettling postmodern mystery, in which a British woman travels to a Greek fishing village to search for her estranged husband, who has disappeared. SIX FOUR. By Hideo Yokoyama. Translated by Jonathan Lloyd-Davies. (Farrar, Straus & Giroux, $28.) A former criminal investigator, now working in police media relations, faces angry reporters, the nagging 14-year-old case of a kidnapped girl, and his own teenage daughter’s disappearance. WHITE TEARS. By Hari Kunzru. (Knopf, $26.95.) This complex ghost story about racial privilege, cultural appropriation and the blues is written with Kunzru’s customary eloquence and skill. Yes, I say this is a book about crimes. In a series of short stories, Carmen Maria Machado works on modernizing our western mythos. Sometimes taking urban myths and layering them, retelling them, and giving them a horror deeper than they originally had, Machado chills and thrills. In “Especially Heinous,” Benson and Stabler of the NYC SVU (Special Victims Unit) are crossed by their doppelgängers, Henson and Abler. Machado creates bizarre underlying personal stories for actual series characters Benson and Stabler (of NBC’s juggernaut Law and Order series). Each “episode” is no more than a paragraph. About three “seasons” are covered, and a disjointed but cohesive tale is told. A police intern sent to hell (but sent back because he is annoying) and ghosts with jangling bells for eyes also populate the SVU vignettes. “Real Women Have Bodies” also features ghosts, although that is not quite the appropriate term. For a long time, women have been fading, becoming transparent, disappearing but not quite gone. This is a touching and mournful story about love and loss. 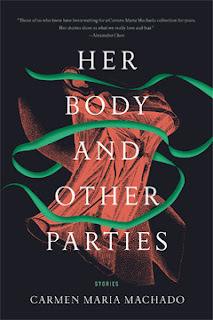 “Her Body and Other Parties” is original to the max, with fine writing, surprising turns, and plot twists that are melancholy, sweet, and funny. 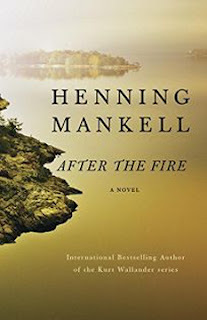 Although Swedish author Henning Mankell, R.I.P., produced one of the mystery world’s most treasured series, starring Inspector Kurt Wallander, “After the Fire” has far less to recommend it to the criminous reading public. It is the last book Mankell wrote and it finally has been translated into English. Last seen in “The Italian Shoes” (c2006), ex-surgeon Fredrik Welin again pops up as the vehicle through which Mankell discusses life, death, love, and fear. You would have thought from that first book that Welin would have changed somehow. But no. Perhaps he is more introspective, but that doesn’t appear necessarily to be a good thing. Seventy-year-old Welin has isolated himself on his grandparents’ island in a Swedish archipelago. He lives in the house they lived in. They were sociable and linked in life to other inhabitants in the area. There were parties and friendships. Welin, on the other hand, puts the cur in curmudgeon. He belittles and avoids his neighbors. Even when he likes someone, he keeps his distance. Although he feels his loneliness and the icy breath of death, he alternately says he is not afraid and he is very afraid. My bet is on the latter. He has done very little to ameliorate his loneliness. Then his house bursts into flames. He barely escapes with only his nightclothes and mismatched boots. Then it appears the house fire was set by an arsonist. Did Welin, in a fit of madness or mental breakdown, burn down his own house? There is very little to like about Welin, and it was my opinion from the start that this was the case. Mankell has not created a book of psychological suspense, however. He has developed the psychology of isolation and the arsonist angle is mildly suspenseful, but it is by no means — so get it out of your head immediately — a crime novel. Bummer. Although Welin has many opportunities to discover what disturbs his lightly estranged daughter, to whom he was introduced as an adult in “The Italian Shoes,” he hesitates and is lost. Although he imagines romance with a decades younger woman, he vacillates and fumbles. I have to say, given the current climate of revelations about sexual predators, Welin comes across as creepy. Speaking of creepy, the good doc — who committed malpractice, resulting in his retirement — skulks around, looking at people through windows, rummages through private papers, breaks into houses to look around, and bears often unwarranted suspicions against his neighbors. I’ve read the raves about this work, but I found the book irritating. Mankell has produced a work about a man who struggles to find love without being lovable, to create a family although he has had little practice or past concern about one, to be well-regarded although he barely masks his arrogance. Well done, Henning Mankell, if that was what you intended. But that doesn’t make for the kind of book I find intriguing. 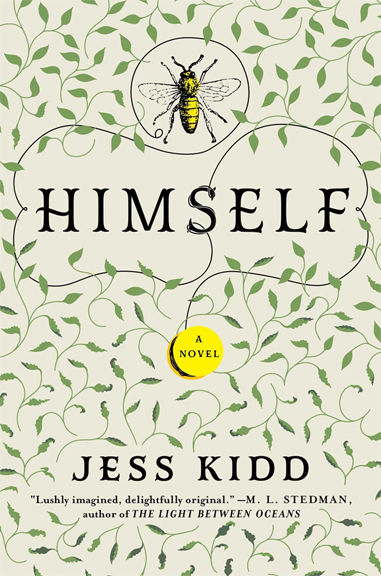 “Himself” is a very unusual murder mystery. For one thing, there are tons of ghosts drifting by in the background of this story set in 1950 and 1976 in the Irish village of Mulderrig, County Mayo. The central murder happened in 1950, and in 1976, the son of the murder victim comes back to the town of his birth to find out what happened. Orla Sweeney was 16 years old when she gave birth to Francis Sweeney. She was murdered soon afterwards, perhaps by the father of her child. Francis was spirited away from the scene of the crime. Twenty-six years later, Mahony — just Mahony — purposefully drifts into Mulderrig on an unnaturally hot day in April. Nothing that happens after his arrival can be said to be natural. Mahony can see dead spirits. He has learned to operate as a “normal” through their often inopportune appearances. Besides that, his appearance has triggered some sort of seismic supernatural activity that builds to a cataclysmic crescendo. But before that, “Himself” is bracingly charming, poetically musical, wittily Irish, decorously lusty, wonderfully drawn. Women fall for Mahony in a big way. Men are charmed by him and forget to envy him. The first two people he meets are barkeeper Tadhg (as far as I can tell, it’s pronounced “Tig,” like the first part of “tiger”) and garda Jack Brophy. They direct him to a place to stay: Rathmore House, the run-down mansion of Shauna Burke and her father, Desmond. Another “guest,” Mrs. Merle Cauley, is a faded actress with a commanding presence. Soon Mrs. Cauley and Shauna are drawn into helping Mahony with his task of locating his mother’s killer. Indeed, there is no need for suspense, Mahony is Francis Sweeney, come back to life in Mulderrig. Orla’s body was never discovered and the primary fable is that Orla got her just desserts for her slutty teenage ways and was chased out of town, infant son (father unknown) in tow. Mahony knows that’s baloney, because he grew up in an orphanage, having been put there as a baby. Why would his mother, were she alive, put the baby she fought to keep into an orphanage? Plus, there is a “secret message” that suddenly shows up to push Mahony home. Add the following characters: pinched-face widow and ex-nurse Annie Farelly; Bridget Doosey, a woman of many useful talents; Tom Bogey, the creepy forest bogeyman; Father Quinn, the tight-arsed priest who replaced the beloved Father Jim; and the oracular Mrs. Lavelle, the village crazy (or is she?). These characters and more are half-way between real people and over-drawn eccentrics. 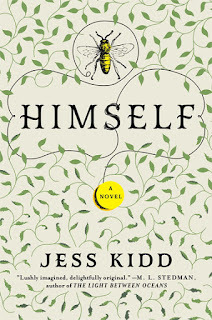 Jess Kidd’s talent is the fine tone she takes and balances throughout her novel of half-way between realistic and way-out-there eccentric, until, of course, it is full-blown weird. Magical realism on steroids? Let’s hear from Kidd herself. The dead are characters with their own ambiguous viewpoints, none of which seem particularly helpful to Mahony. But the dead never includes Orla. Could she still be alive, even though the book opens with her supposed death? Besides Mahony, Mrs. Cauley and Mrs. Lavelle also have strange abilities. Despite the marshaling of spirits and supernatural powers, the heart of the story is about love. But it is also about a vicious killer who hides in plain sight. The ending was a little rich in comeuppance, but I treasured every word of this book. A most resounding MBTB star! “In the Distance” is an artistic roller coaster of tension and release. Hernan Diaz has crafted a story about the lonely, meandering migration of a boy in the mid-1800s looking first for his older brother and then ultimately, as a man, for nothing he can name. Håken Söderström was born and lived for a while in a rural part of Sweden. His family subsisted in dour conditions. As a last effort to cast a lifeline to good fortune, his father managed to obtain money to send Håken and his brother, Linus, on a ship bound for New York. This is not, however, one of those many immigrant stories of making it in the big city. To the contrary, Håken becomes separated from his brother when they dock in England to transfer to another ship and winds up in South America. (Yikes!) But not for long. As we readers wring our hands over this young lad’s fate, the Brennans, a family sailing to San Francisco to participate in the gold rush, informally adopts him as their worker. (Phew!) He can make enough money and travel via land east to New York, he soon reasons, despite not understanding the geography of North America. Alas, if only it were that simple. After the Brennans are run off their gold claim by a gang run by a toothless, evil woman (who, I swear, evokes Ursula from “Disney’s The Little Mermaid” in my mind), Håken becomes the woman’s captive in a surreal episode. (Yikes!) He eventually escapes (Phew! ), only to come close to perishing in the punishing desert heat and dust (Yikes!). Then he is saved by an obsessed botanist and naturalist, roaming the desert looking for specimens. (Phew!) The botanist teaches him rudimentary medical skills. This pleasant interlude, of course, cannot last, so our hero is then put to the test again. And again. In and out of danger. Each time, for better or worse, Håken learns new skills and more about human nature. Eventually he is a man, then an older man, but he does not totally lose his childlike nature. Even at the end, he has not managed to complete the puzzle of what the world looks like and determine how he can live as a normal human being. But there is hope. Everything is complicated after Håken kills some people. That brings us to the start of the book, although that start is really the end of the story. Håken, or “The Hawk,” because no one can pronounce his Swedish name, is aboard a ship trapped in ice. His reputation as a killer is enhanced by his towering stature — regular people looked like children to him — withdrawn demeanor, and unsociable attitude. The others on the ship fear him or hold him in awe. That’s when he uncharacteristically sits down by a fire and tells his story to the few who would listen. So you know that Håken has not crashed and burned on the roller coaster, that he somehow has survived all the awful things that happened to him. Hold onto that thought as he recounts his tale. I would give this an MBTB star, but despite the killings and crimes committed by others, it is not truly a crime or mystery story. It is a marvelous and peculiar story about human nature and what it needs to flourish. Si te has suscrito accidentalmente a este blog, puedes darte de baja haciendo clic en el enlace al final de este email. Arrowood’s casebook seems so shabby compared to Holmes’. Arrowood plods, stumbles, and is puzzled while he chases errant husbands and other meager fare. Holmes suavely ponders, scientifically examines, and easily banters with aristocrats and the police. At one point, Arrowood rails against a thousand-pound fee Holmes receives, claiming Holmes has scarcely earned it, given all the holes in his logic. And that is the hook Finlay uses to draw his readers in. 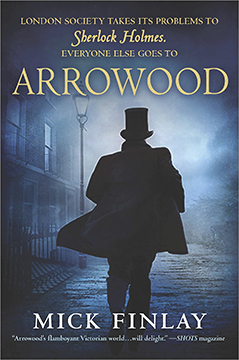 Holmes, unseen and unmet, has a looming presence in Arrowood’s universe. Arrowood dissects some of Holmes’ cases and points out the flaws in reasoning, the luck he enjoys that allows him to solve his cases. And what of the cases not reported by the faithful Watson? Arrowood is certain those are rife with the stink of failure. Caroline Cousture has a charming French accent and a sympathetic mission to find her sweet brother in villainous London. She says she cannot afford Holmes, so … Arrowood swallows his shame and takes the case, the coffers being more empty than full. He and Barnett then take us on a tour of the unsavory and vicious underbelly of London. It seems much more authentic than Sir Arthur Conan Doyle’s version, but the physical toll the case takes on our heroes is also more graphic. Finlay places his fictional story within the real events of the time, including the Irish rebellion against English rule and the Ripper murders. He does a bang-up job of that. Arrowood is more realistically drawn than Holmes, but do readers want that any more than clients want Arrowood over Holmes? There is despair around every corner. Even Barnett has a sorrowful secret. The investigators hang in the insalubrious parts of town, fight against stepping over the line into their own extreme poverty, and show us the flip-side of Holmes’ tidy London. Are you ready to watch Holmes topple off his pedestal? Finlay is giving it his best shot, and has created a viewpoint and characters that make reading his work worthwhile. The Marshalsea. It should be the name of a seaside resort, not the name of the most infamous debtors’ prison in England. Based on a real place and real people, Antonia Hodgson has crafted a compelling and gruesome book set in the early 1700s. Tom Hawkins could have been an English minister like his father. He could have led a righteous, pious, and respectable life somewhere in the Suffolk countryside. Instead, he throws away the figurative and literal riches bestowed upon him at birth: his educational opportunity at Oxford, his path to a religious sinecure, the possibility of a wife and chubby, rosy children who adore him. Instead, he is a gambler and a drunk, and delights in the company of whores. For his libertine ways, he eventually finds himself heavily in debt. Forced to beg help from friends, Tom finally scrapes up enough to avoid being arrested. Then he is mugged, beaten, and then, lacking money, ignominiously tossed in the Marshalsea. Tom’s one opportunity to avoid further degradation lies in being able to solve the murder of Captain John Roberts from within the prison. The captain was no better perhaps than Tom in his profligacy, but he had a wife and child who depended on him. After the captain’s death, his wife received an inheritance and was no longer required to reside in the prison. She has chosen to do so, however, to somehow discover who the murderer might be. She importunes Tom to help her. Furthermore, Tom’s great and dear friend, Charles, also begs him to discover the villain. Charles through his powerful sponsor can help Tom escape prison if the murderer is caught. There are many obstacles in the way of Tom’s investigation, not the least of which is Samuel Fleet, Tom’s bloodthirsty and vicious roommate. The capricious prison governor also has it in for Tom, that is, when he is not feeding him and encouraging him to dance with his dainty wife. Then, of course, it is in the murderer’s best interest not to be discovered. 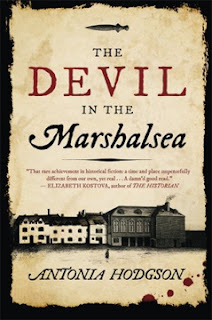 In the vile hell of Marshalsea, one hand slaps Tom down and another raises him up. And sometimes it is the same hand doing the raising and slapping. Will Tom survive the Marshalsea? Antonia Hodgson has done an incredible amount of research to present her tale of woe. She vividly presents the stench and gloom of the Marshalsea. There are scenes depicted that are not for those of delicate mind. It is also a shocking reminder of the cruelties of class snobbery and the offhanded way in which humans have mistreated other humans. “The Devil in the Marshalsea” is well written, well researched, and an eye-opener. It is a cautionary tale as well, should we ever be tempted to disparage people simply because they are poor and without power. This book is not a mystery. “A Gentleman in Moscow” is one of the best books I have read in a long time. 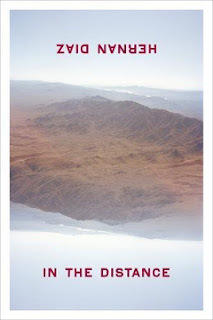 It is quietly beautiful and effective the way Jess Walter’s “Beautiful Ruins” is. 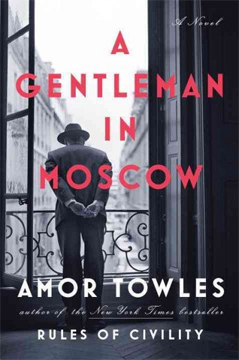 American author Amor Towles’ writing is delicious and vibrant about a topic that could be lugubrious and depressing. Count Alexander Ilyich Rostov has been placed under house arrest as the Bolsheviks overthrow the aristocratic rule of Russia and establish the Union of Soviet Socialist Republics. The “house” in which Alexander must now live is the famous Metropole Hotel in Moscow. Not too bad a set-up, except he is banished from his luxurious suite to an attic room, once reserved for the maids. “A Gentleman” covers about thirty years in Alexander’s life, from the early 1920s to the mid-1950s. Although many trying circumstances come his way, he remains a gentleman throughout, and that is the simple yet satisfying plot of the book. Alexander is clever, intelligent, thoughtful, observant, worldly, and unflappable. Many other characters inhabit the hotel, and each one is wonderfully drawn.